DC Comics New Ink Comics Imprint for readers 13 and up. DC INK is for readers 13 and up, and features coming-ofage stories that encourage teens to ask themselves who they are and how they relate to others. DC Ink features storytelling that focuses on real-world situations and relatable characters who are not perfect, but are nuanced and complex—just like our readers. 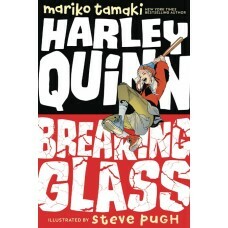 APR190434 - With just five dollars and a knapsack to her name, 15-year-old Harleen Quinzel is sent to live in Gotham Cit..